For a long time now, Brazil has been perceived as a country of the future, along with other developing nations such as China and India. In fact, Goldman Sachs economist Jim O’Neill coined the acronym BRIC in 2001 to denominate Brazil along with Russia, India, and China as economic giants of the future. 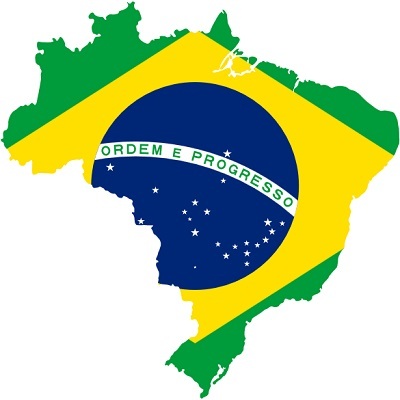 Despite this positive outlook, however, economic growth in Brazil has stalled in recent quarters, with elevated inflation, dropping credit rates, and an unhealthy stock market index. Latin America's biggest economy is expected to grow by just 1.68 percent this year and 2 percent in 2015, after achieving 5 percent growth during most of last decade and reaching 7.5 percent peak growth in 2010. With a presidential election taking place in October, not long after the completion of the World Cup, "2015 is going to be the big year of adjustment," according to Marcelo Salomon, chief Brazil economist for Barclays in New York. As host of both the 2014 World Cup and 2016 Olympics, there is nowhere left to hide for Brazil. While the country is hoping to ride the world's biggest sporting events towards future prosperity, the jury is out regarding how much sport and culture can really influence the struggling Brazilian economy. Opinion is polarised as to whether these events are simply a waste of money or a powerful cultural catalyst capable of turning the economic tide. With an estimated $11.5 billion already spent on new stadiums, transportation, and airports, Brazilian politicians are promising huge economic benefits along with improved infrastructure and a better global reputation. Many Brazilians are sceptical about the perceived benefits, however, with massive street protests planned during the World Cup. According to a recent report by credit rating agency Moody's Investors Service, new infrastructure spending associated with the event is insignificant and any benefits to businesses will be fleeting. "We see little impact on Brazil considering the limited duration of the World Cup and the size of the country's economy," said Moody's, echoing the feelings of many local people. It's often difficult to define the benefits of such large events through economic measures alone, however, with the World Cup and Olympics also likely to have a significant and enduring cultural impact. With more people talking about Brazil and media coverage set to saturate TV screens around the world, tourism will grow and the culture of Brazil will become more accessible to a global audience. For a country so ready to embrace the world in order to expand its economy and share its culture, these kinds of benefits are very real yet hard to quantify.